Hi there! 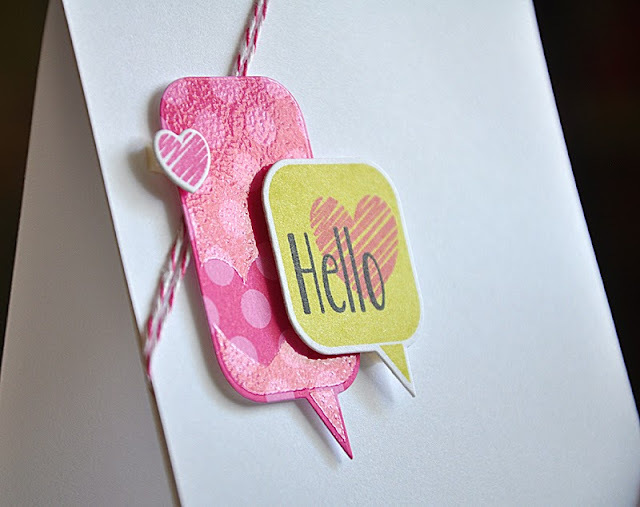 Just popping in quickly for day three of the Papertrey Ink countdown to share a few more samples using the latest addition to my Stamping Simply lineup... Bubble Talk. Here's a little sample where I've put the coordinating dies to use. Plus a look at some fun Baker's twine wrapping. Here's a Tip: To prevent the twine from slipping around I've wrapped a 5 1/2" x 4 1/4" cardstock panel with the twine, taped it into place on the backside and then adhered the panel to a card base. Check out the the pattern paper die cut bubble. I heat embossed it (using clear embossing powder) with a coordinating image creating a subtle yet neat effect. The "Hello" is from the Mini Blooms stamp set. I'll finish things off today with yet another one-layer card. This one featuring the same twine wrapping as above. 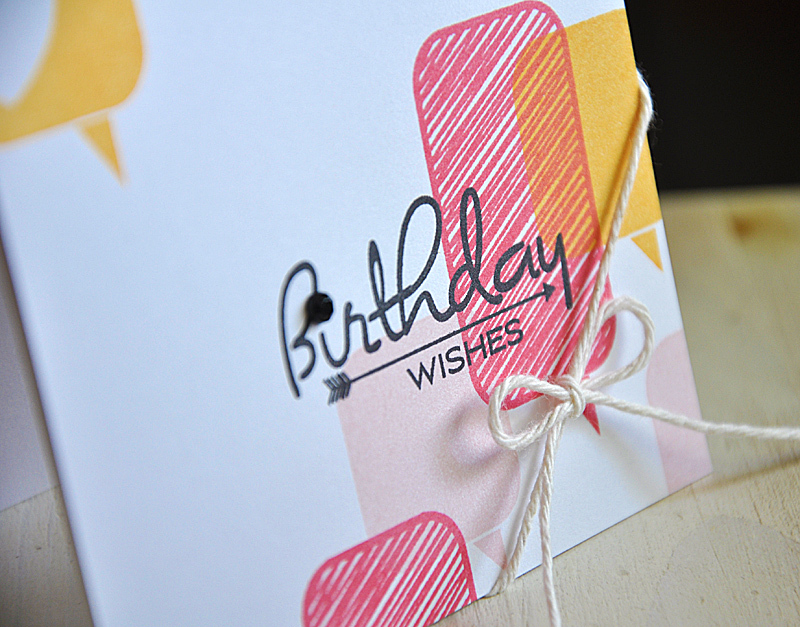 I finished the card off with a birthday sentiment from the Birthday Style stamp set and a rhinestone. Well, that's all I've got for you today. Just remember... this stamp set and die collection will be available for purchase through Papertrey Ink, beginning August 15th. In the mean time, I'd love to know what you think so far, so please feel free to share! Now, be sure to visit Nichole Heady and Ashley Newell for new peeks. Also, Heather Nichols, Dawn McVey, Melissa Bickford, Lizzie Jones and Erin Lincoln have peeks to share with you of their newest sets and dies for the month. I just love your style Maile!! Fantastic cards!! I LOVE your style Maile! Great cards! Can't wait to get this set! So many possibilities!! Fabulous cards!! Wow - I love the use of these bubbles and where you place the phrase - a must have set. I always look forward to your work - you never fail to inspire! I'm lover the moon about these speech bubbles...they're soooo much fun. What a wonderful way to use the bubles. The cards are so simple and clean. Love them. 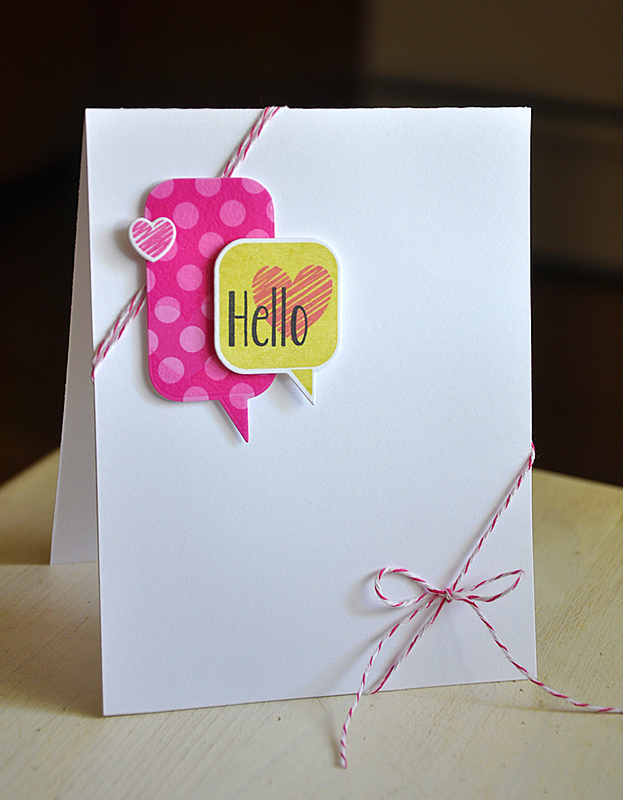 Love this bubble set, great for simple but stylish cards. How very wonderful and I love the simplicity and speech bubbles!! Love your cards, Maile! 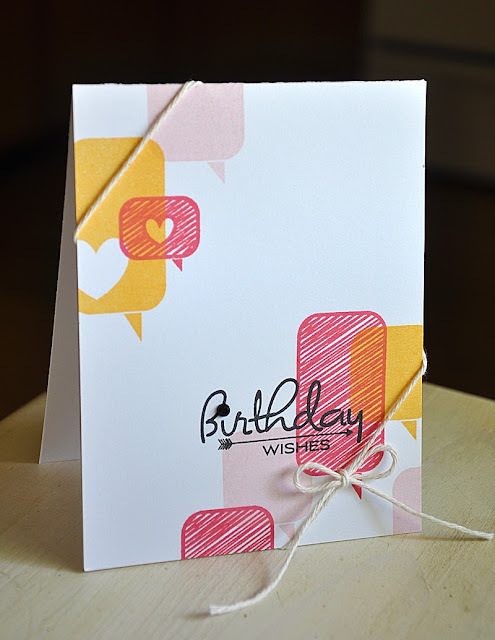 You always know how to create the most amazing designs with your stamps...so fun to visit your blog! I love the way you wrapped the twine and those speech bubbles are too cool. Love the geometric birthday card. Your clean & simple cards are beautiful.